Next Monday should be a red-letter day for camera geeks in the UK, as 19 October is set to be the date the much-lauded Eye-Fi wireless memory card hits the country. Eye-Fi Inc says all three models of its award-winning add-on for digital cameras will be available on launch day through the usual channels. Prices go from £50 for the Home Video model, through £70 for the Share Video, up to a hefty £120 for the Pro. Each price jump adds capabilities, with the Pro being the only one capable of handling RAW photos, hence the name. 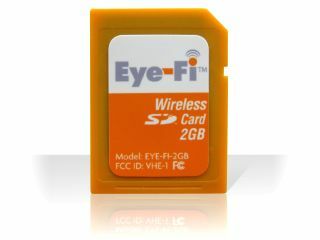 Each Eye-Fi card has 4GB of memory and the ability to upload photos and video by Wi-Fi to a net-connected PC. The Share Video and Pro models add links to Facebook, Flickr and YouTube, among others, while the Pro also comes with lifetime access to a geotagging service.